Every year, an average of 50,000 movies are released. With numbers like that, we’re bound to let some pass us by. Film is one of the most amazing art forms there is and like all art forms, the people who stand behind them pour their lives into them. I am a movie guru and I know it’s a love I share with many others. I think we all have films we haven’t given a chance or that simply flew under our radar. Here are the 10 best unknown or underrated films you probably haven’t seen or have forgotten about. Plot: A teenager finds out that a boy she slept with was HIV positive and is forced to confront the possibility that she too may be infected. This film confronts misconceptions, fears, and the ignorance surrounding HIV/AIDS. Why You’ll Love it: All teenagers, before entering the world of sexual relationships, must see this movie.The performances are genuine and deeply moving while still maintaining an informative nature regarding what an HIV+ diagnosis means for a person and those around them. Cast: Sandra Bullock (Miss Congeniality), Don Cheadle (Avengers: Age of Ultron), Terrance Howard (Iron Man), Ludacris (Fast and the Furious Series), Thandie Newton (The Pursuit of Happyness), Ryan Phillippe (I Know What You Did Last Summer). Plot: The film deals with the still relevant issues of racism and oppression. It examines the lives of several individuals while intertwining their stories. Each character reaches revelations about themselves and the world around them as they perceive it. Why You’ll Love It: It features many highly acclaimed actors in a meaningful film. The movie helps forces you to examine your stance on a variety of subjects. It will provide you with a fresh outlook on the world you live in by awakening you to the truth behind oppression. Oppression appears in many different forms and supporting those who are dealing with it is crucial to the functioning of our society. Plot: Based on a memoir, it tells the story of a girl who was impregnated at 15 in the 1960s. She dreams of going to college to become a writer but finds it far too challenging with her son and a broken marriage to a drug addict. It’s a brutally honest look at her life and the way her inability to cope impacted her relationship with her child. Why You’ll Love It: This movie offers an insight at what happens when your dreams are on hold due to unplanned pregnancy. Too often, we see a focus on the positives of how much you gain by loving your unexpected child or only scratches the surface of the issues in order to not offend. 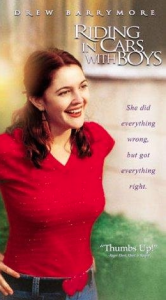 This film shows a woman who is at times selfish, resentful, and generally unhappy with how things turned out for her. It’s a beautiful story in itself and has a refreshingly authentic plotline. Plot: A robot who was originally made to be a household helper to a family begins to show signs of emotions and creativity. 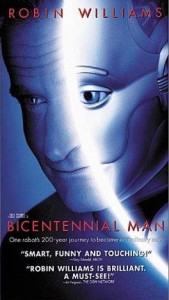 Over the course of two centuries, the robot learns what it means to be human and fights for the right to be considered one. Why You’ll Love It: The movie examines what it really means to be human and some truths about mortality. Plus, who doesn’t love Robin Williams?! Plot: A pregnant teenager is abandoned by her boyfriend at a Wal-mart. She’s in a new town, has no job, no education, and no money, so she decides to do what any normal person would do…secretly live inside Wal-mart. It is there where she gives birth to her baby. Once news breaks, she becomes a household name and decides to rebuild her life in the small town with the help of some new friends. Why You’ll Love It: This movie is heart-breaking, romantic, and inspiring all at once. It’s a personal favorite with fantastic music, characters, and stories. 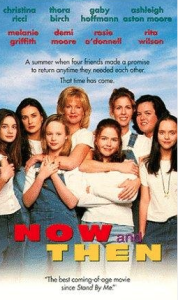 Plot: A group of girls who promised to always be there for each other when they were 12 have reunited for the birth of one of their children. While they’re together, one reflects on the summer they made the pact and the events that took place which brought them together in some ways and lead them to independence in others. Why You’ll Love It: Each character is built and intertwined perfectly. 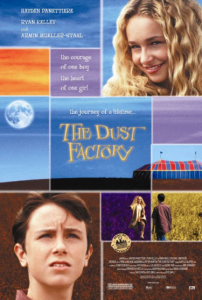 The movie makes you remember your childhood and what it was like for you and your friends growing up. It is truly the perfect girls’ night flick. Plot: A boy falls from a bridge and finds himself in a bit of a limbo-like place where one goes when on the brink of death. In this place there is a circus tent, where people make a determining leap to they return to life or move onward. The young boy is reunited there with his grandfather who has Alzheimers and meets a girl. Each must eventually make their own decisions and accept the subsequent consequences to determine their own fate. Why You’ll Love It: The meaning of this movie is very open to interpretation. Is it really about life and death? Is it about moving on from traumatic experiences? Or is it just about growing up? Either way, it’s a fantastic movie about choices, growth, and love. 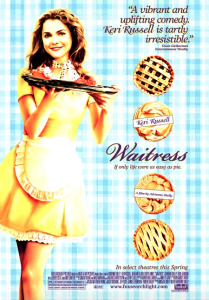 Plot: A waitress dreams of finding a way out of her unhappy, abusive marriage. Her plans are interrupted by an unexpected pregnancy and most confront the fact that things may not go as planned. She finds herself in an unlikely relationship while issues with her husband continue to escalate. Why You’ll Love It: This is a beautiful story with a genuinely relatable protagonist. Although she isn’t perfect, she tries her best to be, and I think we can all relate to that. The film is also taken to a whole new level by its spectacular supporting cast and their great side stories. 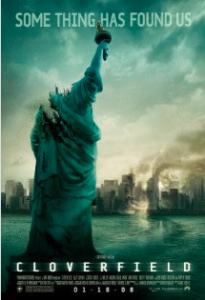 Plot: A “found footage” style film about an unknown threat attacking New York City. A group of friends suddenly go from celebrating one of their new job opportunities to running the streets, desperately trying to survive. Why You’ll Love It: This movie is awesome, and not just because you see “Janis Ian” without a wig made of your mom’s chest hair. It’s a great a horror movie for the person who doesn’t really like horror movies. It’s not too gory and there’s an actual story-line to keep you interested. Plot: A girl is recalling her youth at a boarding school and the years that followed. The boarding school was for children who only existed to be organ donors (or spare parts) for other people. They learn they will all be complete (or die) by early adulthood. They are clones of other people for harvesting organs. The girl is in love with a boy but he is in a relationship with their mutual friend. The three are searching desperately for options to stop or at least delay their donations and recall that at the boarding school they made art work which went to a gallery if it was seen as worthy. They begin to wonder if this may be the key. 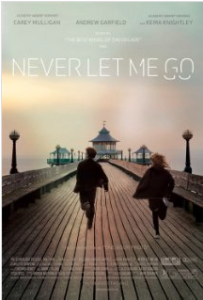 Why You’ll Love It: It’s a beautiful love story with a hint of tragedy. You can probably even get your man to watch this one because it’s extremely well-written and has more than just the “love” element to stand on. You are officially set with awesome movie options! So next time it’s movie night, don’t forget to refer to this list and give something new a chance. 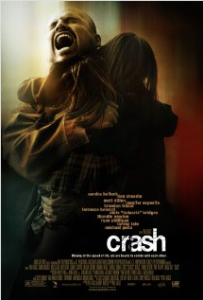 Movie Poster Images via IMDB. Featured Image via We Heart It. College Cougars: How Young is Too Young?